The NSW Premier’s Export Awards are a fantastic celebration of our best export businesses, reinforcing the importance of a strong exporting culture in NSW. 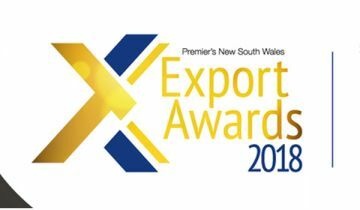 This is the 56th year of the Premier’s NSW Export Awards and there are seven state-based awards up for grabs including the major Premier’s NSW Exporter of the Year Award, as well as 13 national award categories across a range of sectors. This year’s national awards also include a new category, the Emerging Exporter Award, for outstanding export achievement by a business exporting for three years or less. NSW companies of all sizes who are exporting are encouraged to apply for the awards, which are organised by the Export Council of Australia with the NSW Government as the principal sponsor. Export Council of Australia CEO Alina Bain said the NSW export awards were the largest in Australia attracting a wide range of strong and innovative entries. 'Last year we had record entries with 82 finalists across 21 award categories. Applications for this year’s awards are open until 17 August with finalists notified in September and winners announced on 24 October at the Star in Sydney. NSW goods and services exporters already generate some $78 billion worth of export sales each year. Businesses that export generally have higher levels of productivity than those that only sell at home – something like a third more on average – and exports open doors to larger markets allowing businesses to spread risk if home markets are slow. Only two per cent of NSW’s 736,000 small businesses currently export – so the Premier’s NSW Export Awards is a great platform to promote the benefits.